The fund says Argentina’s economy will shrink by 2.6 percent in 2018 because of austerity measures, and global growth is contracting from trade wars. The International Monetary Fund (IMF) said Tuesday that the Latin American economy will grow less than expected, mainly because Argentina, the region’s third largest money maker, is in an economic crisis. 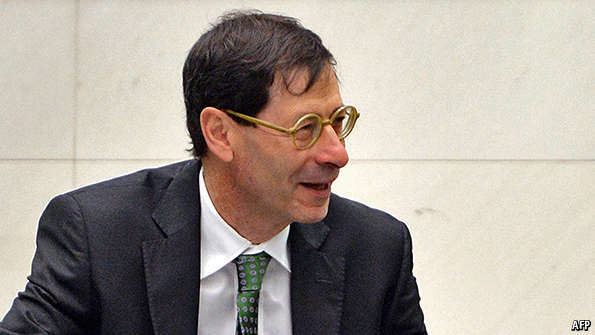 IMF chief economist Maurice Obstfeld, told the audience at the “Prospects of the World Economy” in Indonesia on Tuesday that Argentina’s economy will decrease by 2.6 percent by the end of this year, and another 1.6 in 2019. The numbers presented in the IMF report were drastically below what the fund had predicted just last April when it said that Argentina’s economy would expand by about two percent over the next year. Argentine President Mauricio Macri took out a three-year standby loan from the IMF in the amount of US$50 billion in June. After selling off US$15 billion in order to save its own devalued peso, Macri and his administration received another US$7.1 billion from the same financial institution. The Argentine government itself had predicted a 2019 contraction of 0.5 percent, also well below Tuesday’s IMF forecast. The IMF says that Argentina’s economy can only be turned around with “the firm implementation of reforms and the recovery of confidence.” Following that advice, the Macri administration laid off thousands of state workers since June and downsized nearly a dozen ministries, among a myriad of other austerity measures. The growth in Latin America and the Caribbean as a region are expected to diminish by 0.4 percent, so 2018 will only see an increase of 1.2 percent and by 2.2 in 2019. “Our reevaluation is more drastic for emerging markets as a whole, where we see growth slowing down in Latin America (especially in Argentina, Brazil, and Mexico),” Obstfeld said. Brazil, South America’s largest economy, will grow by 1.4 percent in 2018 and 2.4 percent in 2019, down 0.4 and 0.1 points, respectively from July forecasts. Argentina’s economy is predicted to hit a recession next year as inflation floats at 34 percent and the peso hovers at 38 to its pegged U.S. dollar.